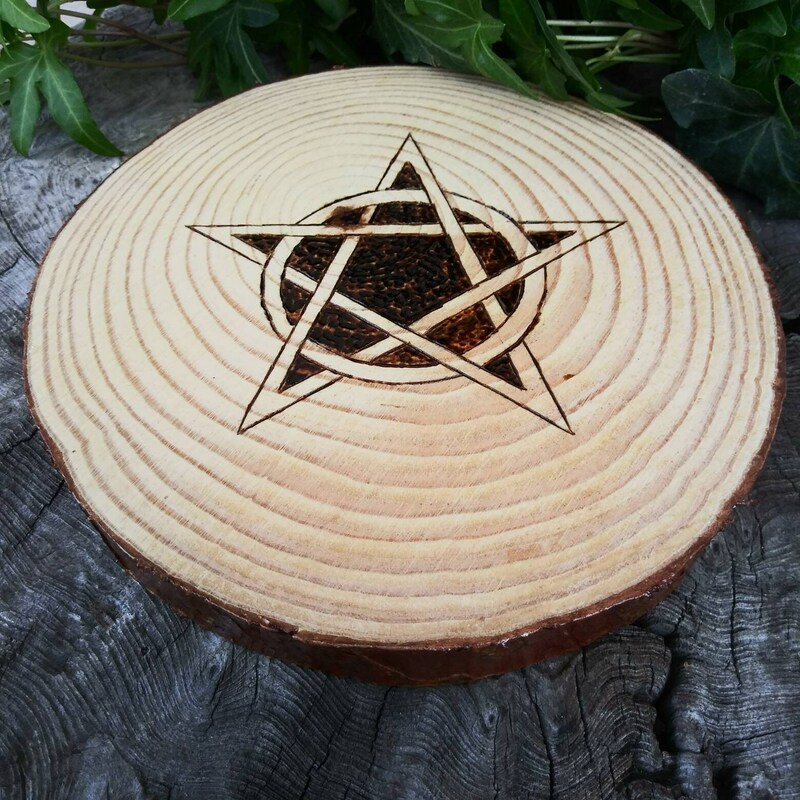 Pictured is our new rustic altar paten - altar tile - altar pentacle in pine. 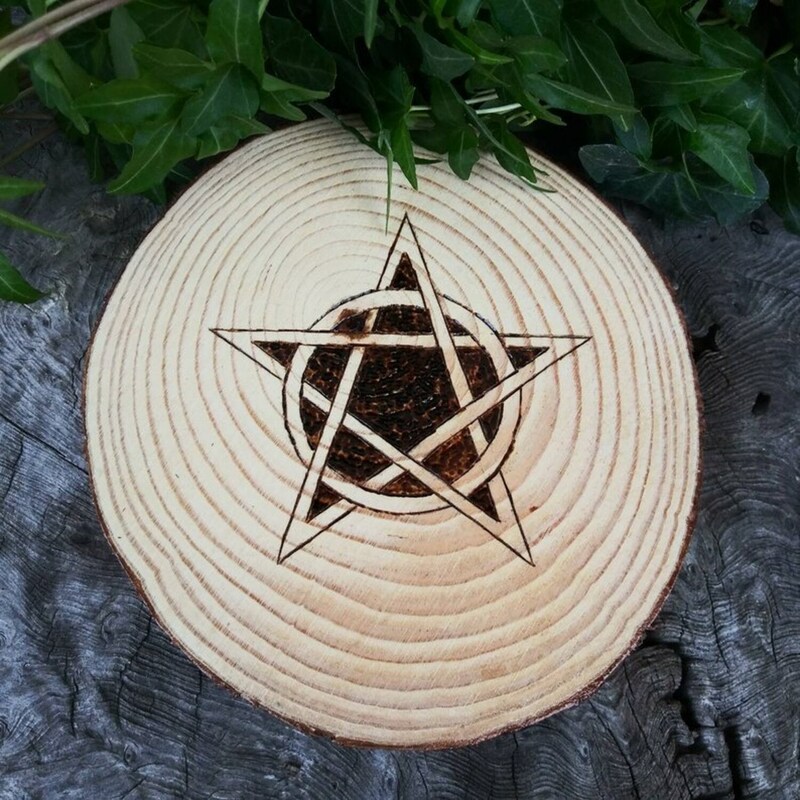 This wiccan altar tile evokes a feeling of old witchcraft and it would be right at home on any nature-themed witch altar or "alter" as I'm finding some are spelling it although that means something different entirely. 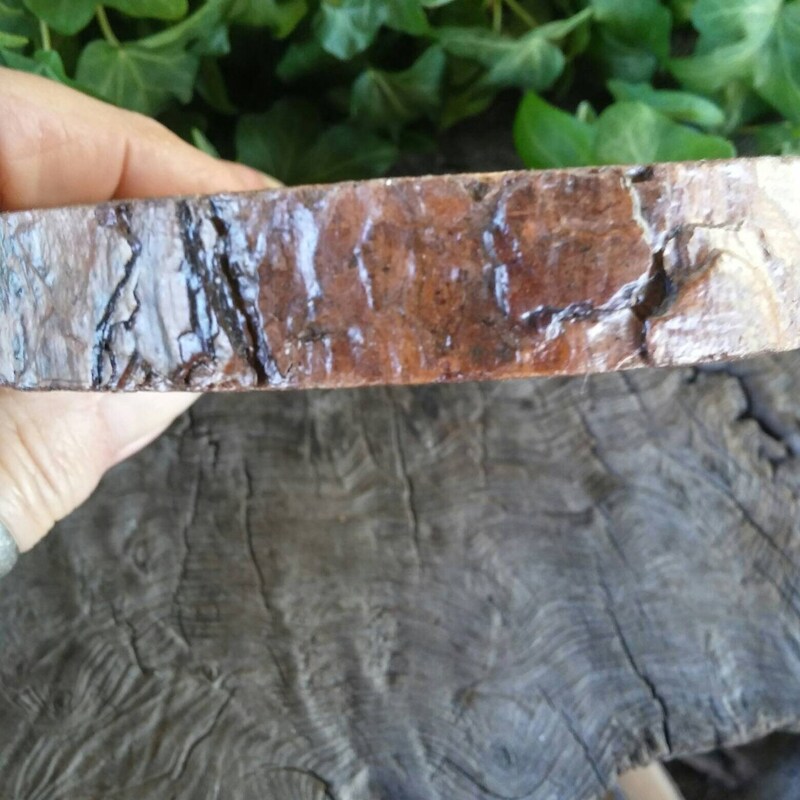 It is a beautiful pagan altar decor item or wiccan altar item. It has been created keeping the traditional craft in mind. The altar paten is made from hand-sawn pine and rigorously hand-sanded, pyrographed, and has received three coats of lacquer, top, sides, and bottom. 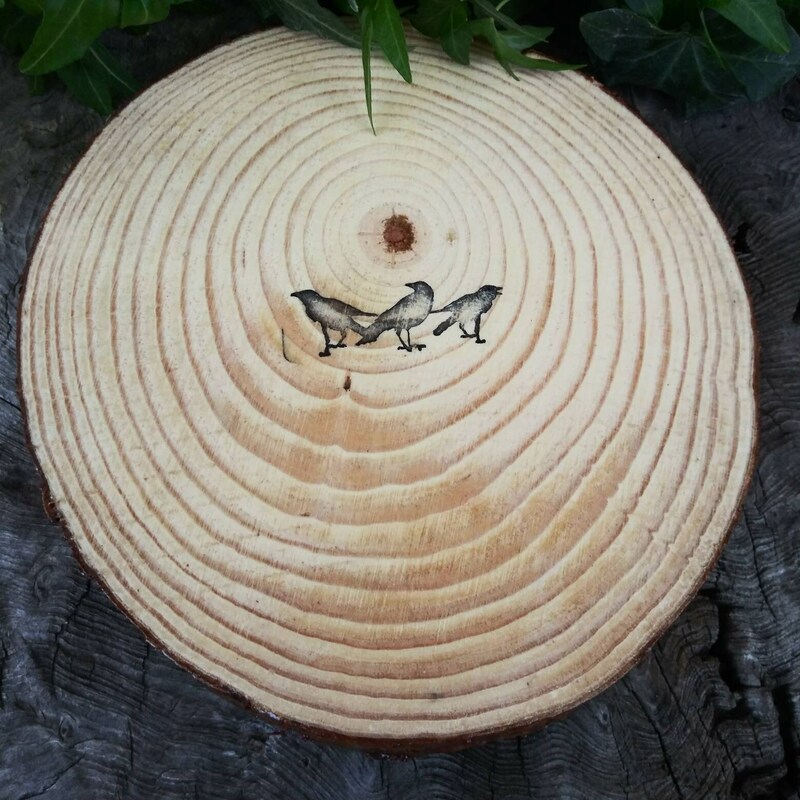 It is 6 and 6.25 inches in diameter [not 100% round] and signed with our triple raven logo. 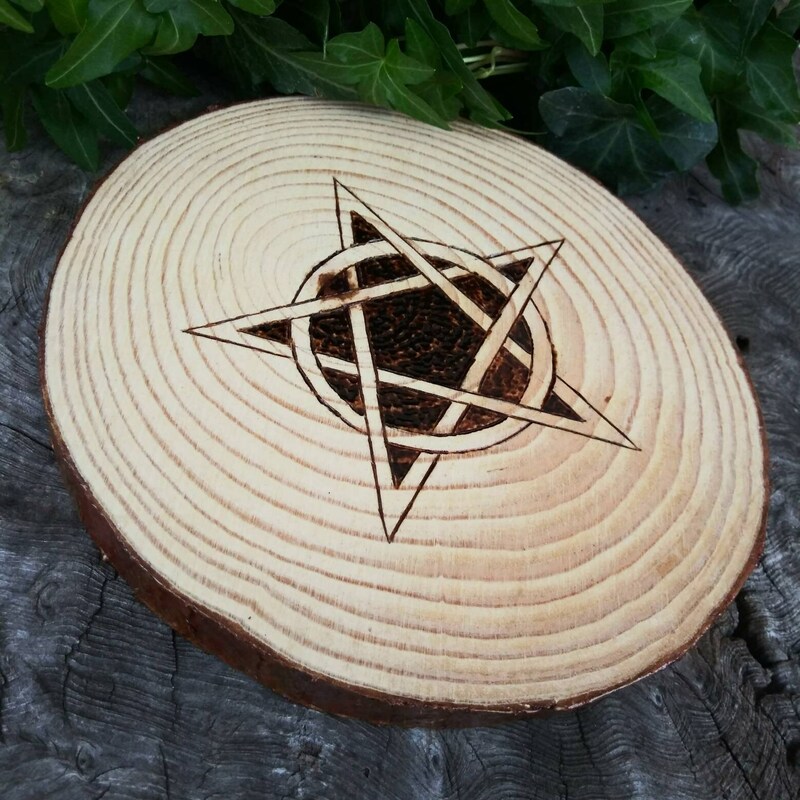 The dark spot on left side of pentacle is the centre of the tree and if you look at the pic of the back side of the altar paten you can see that there wasn't much I could do to prevent it from showing through.